Laura Ferris was just six when she moved from interstate to attend Tasmania's Giant Steps school which had a growing reputation for its work with autism disorder. The not-for-profit independent school was founded in 1995 by a group of dedicated parents and local community supporters who were committed to ensuring specialised education for children on the autism spectrum. Ms Ferris, now 26, has grown up at the school and is still there with the school expanding as clients have matured. But last week families and students learnt the Next Steps program which caters for adult clients was closing. Laura Ferris' mother Sue said it was a huge blow. "We came from Canberra 20 years ago for Giant Steps and gradually as Laura's gone through the school they've opened up to the older age groups," she said. "Laura's been in the adult program for about eight years now, it's a fantastic service and this has just come like a bolt from the blue." Parents were informed in an email the decision to close on December 21 was taken on financial grounds. Sue Ferris said it was concerning for the 13 students using the program and their families, who were already facing so many other challenges. "It's devastating for these clients because being autistic they like to have consistency, it's a program that they know, many have grown up with the school," she said. We're just battling the whole time and it's just absolutely exhausting and the stress, I can't even tell you what that like it's just horrible. "I don't know how this service will be replaced." Tania George's 18-year-old son Jayden also uses the service. Ms George said she had seen amazing changes in her son, under the Next Steps program. "He's really calmed down, settled down, he's learnt skills there that he didn't have before, or what he did have he's got better at," she said. Giant Steps principal Tim Chugg said it was a very difficult decision. "We had many months of quite emotional and in-depth discussions and eventually the board had to come the gut-wrenching and heartbreaking decision to close the adult group," he said. 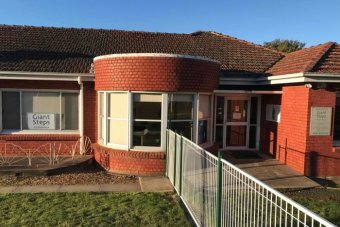 Mr Chugg said it was largely due to changes to the school's funding stream under the NDIS. "Primarily it's a financial decision so the funds our clients are receiving are just not enough to maintain our service without making a substantial loss," he said. Funding used to be delivered to disability service providers in blocks, but under the NDIS it is individualised. "You're needing to outlay the staffing and the costs before you receive payment for the service, you need to work in different ways to get that payment," he said. "The rates aren't allowing for a lot more other than wages and it seems to be particularly affecting smaller providers. "We're also concerned some clients are not getting as much in their hourly rates as we would have hoped." Mr Chugg is not looking to obtain funding from another source. "The focus for us now is to look at really positive things for these clients to move on to, so we're hoping to guide them in the next part of their life journey," he said. 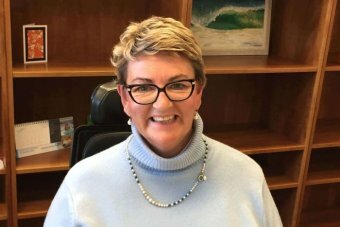 Disability advocate Jane Wardlaw said the decision to close Next Steps was disappointing for the community. "We were becoming quite reliant on Giant Steps expertise," she said. 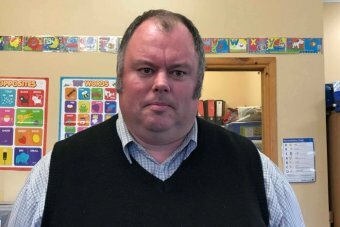 "They have a wonderful reputation for working with children on the autism spectrum and it was a natural progression to finish off with school and lead on to another program, so we are a little bit disappointed that they've had to make this decision." A spokesperson for the Department of Social Services said it appeared to be a business decision taken by the school.